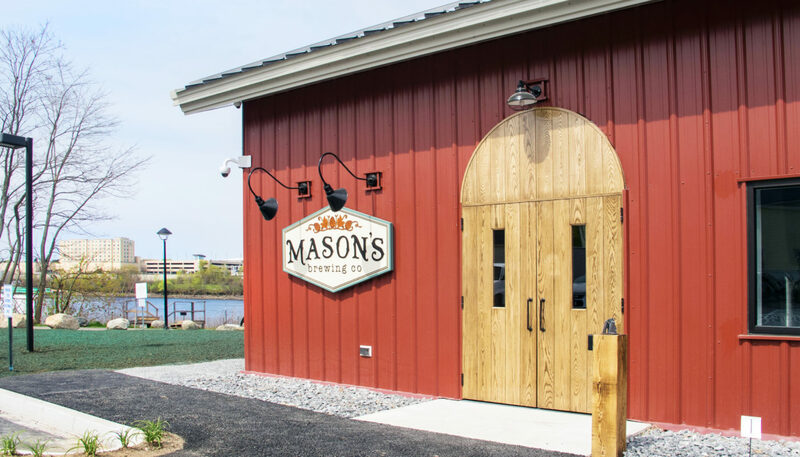 Brewer Maine reaffirmed its name when the city’s newest craft brewery and restaurant, Mason’s Brewing Company, opened on the Penobscot River waterfront. 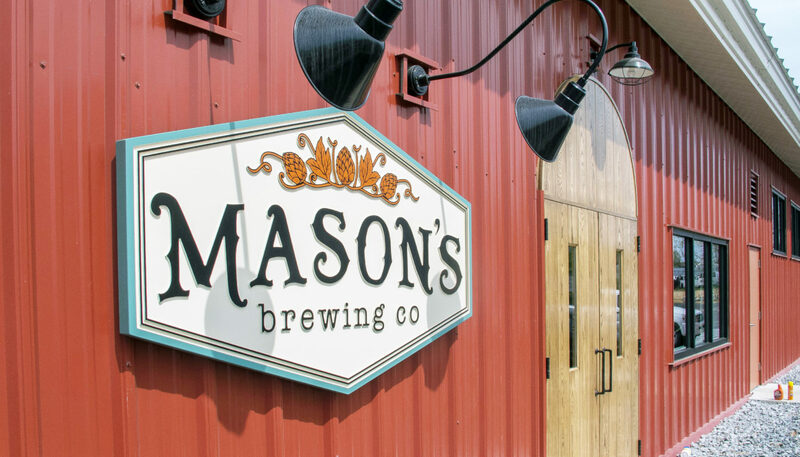 Mason’s Brewing Company is a new 6,800 SF combination craft beer brewery and 120-seat restaurant masterminded by Chris and Barbara Morley and partners, designed by WBRC, and constructed by E. L. Shea. 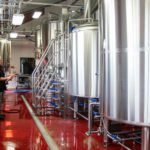 The beer manufacturing side of the facility, a new energy-efficient 20-barrel Deutsche brew house, includes canning of Mason’s growing line of craft beers, 140-barrel cooled storage, and four bright tanks used for kegging and serving in-house. 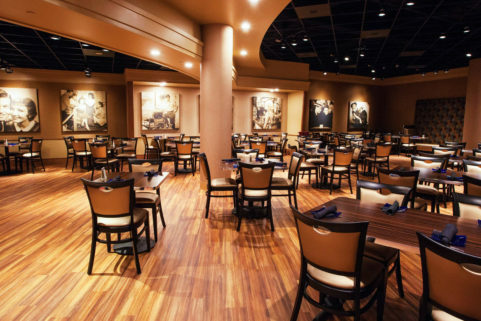 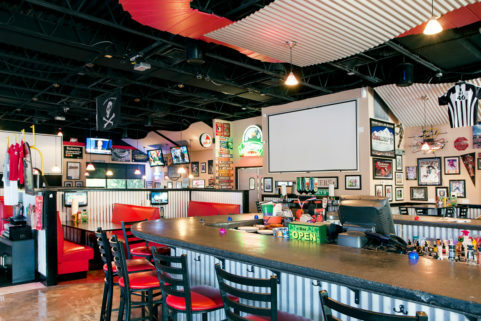 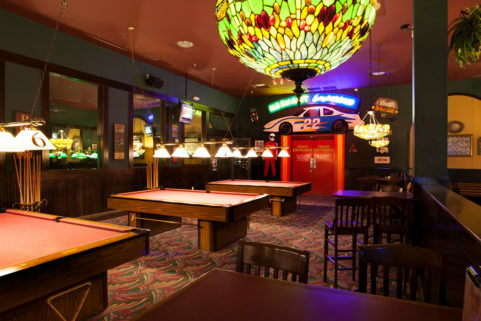 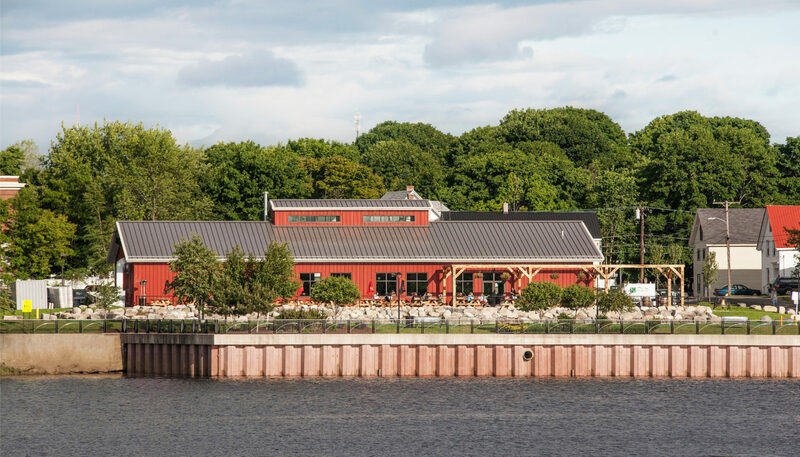 The restaurant side offers a variety of seating options for over 120 (plus ample outdoor seating on the riverside patio), a custom-made bar, high ceilings, and an open kitchen where patrons can watch the creation of beer-friendly fare such as pizza and burgers. 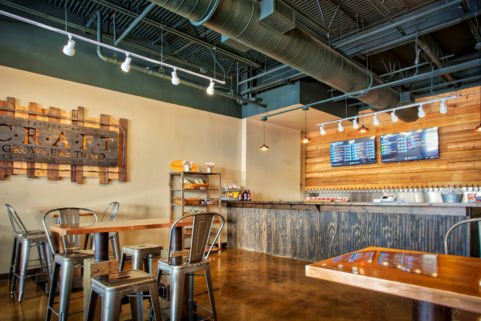 To create an enhanced customer experience, the design included a specially glazed wall so that patrons can observe the brewing process from the restaurant. 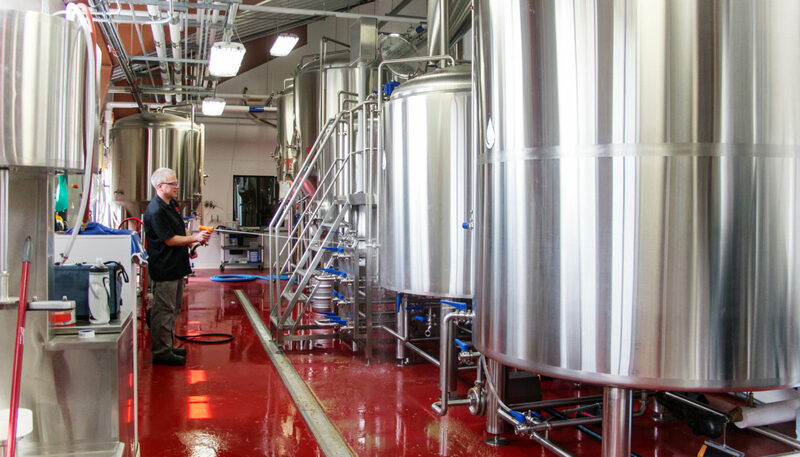 The ventilation system was configured so that aromas from the kitchen and brew house can be enjoyed by guests seated outdoors. 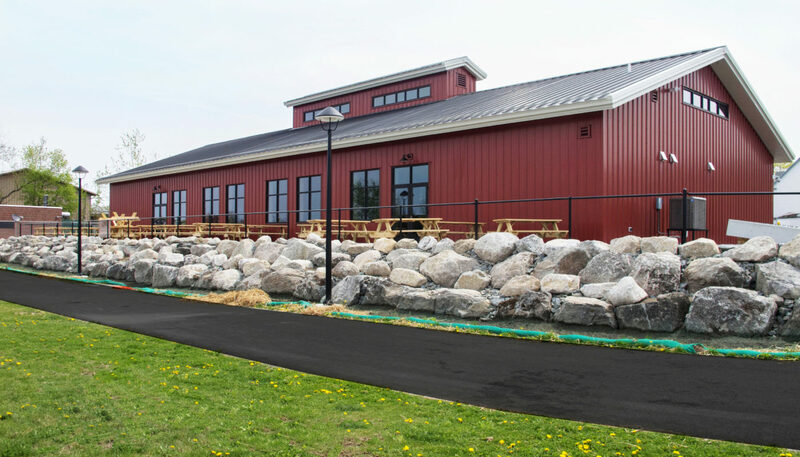 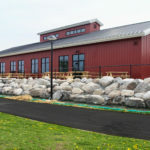 The building’s distinctive, deep-red metal design blends elements of Maine’s waterfront structures with late 1800s industrial buildings, and the site’s front slope is flanked by an impressive wall of boulders, giving it an eye-catching presence from the Bangor side of the river. 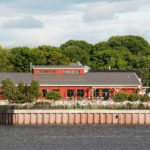 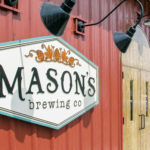 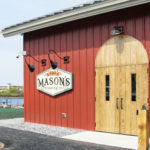 Mason’s Brewing Company also has the crowd-pleasing attraction of being located directly across the river from Waterfront Concerts stage in Bangor, and serves as the anchor for the southern end of the City of Brewer’s Riverwalk.